We have frequented Etna @ Duxton a few times before and we are well aware of the standard of their food and service. So this time around when we are looking for Italian food in the east, we decided to try their upper east coast / siglap outlet. Located on the first floor of a private residence in Siglap, this outlet has indoor and outdoor seating. The restaurant ambiance is very cosy, with leathered chair and white clothed table. Feels like you are entering a fine dining restaurant with a homely service. 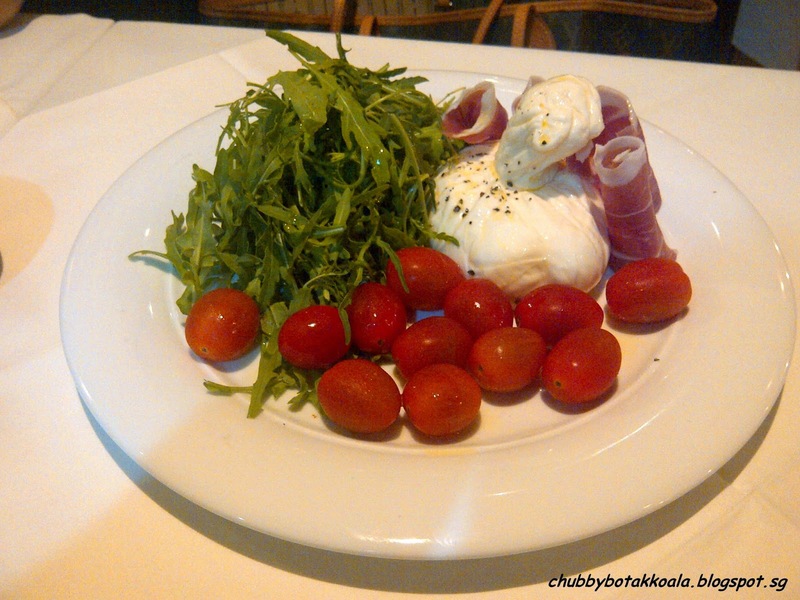 We started the dinner with Burrata di Andria con Rucola, Pomodorini Pachino e Prosciutto di Parma (in short – Burrata cheese with Parma ham - $32). We like this dish because of the combination soft and mild flavour of Burrata mozzarella cheese with the Prosciutto di Parma. The salad light and it lets the ingredients speaks for itself. Yummyy!! 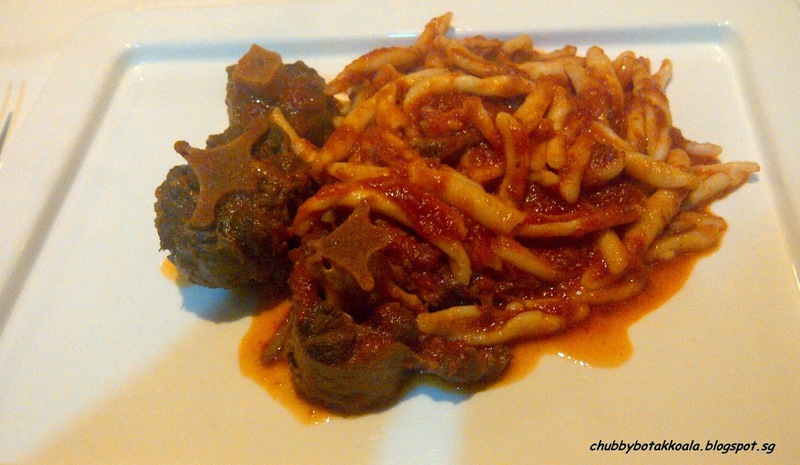 Next come the pasta, I ordered Strozzapreti con Coda alla Vaccinara – Homemade pasta in slow-cooked oxtail tomato sauce ($26). Presentation wise, this dish might not be the most appealing, however don't judge a dish from its look. The oxtail meat is tender, fall of the bone but not mushy. The homemade pasta is thicker then normal pasta, and a little past al dente. However, the texture allow the rich tomato sauce to absorb and cling onto the pasta. 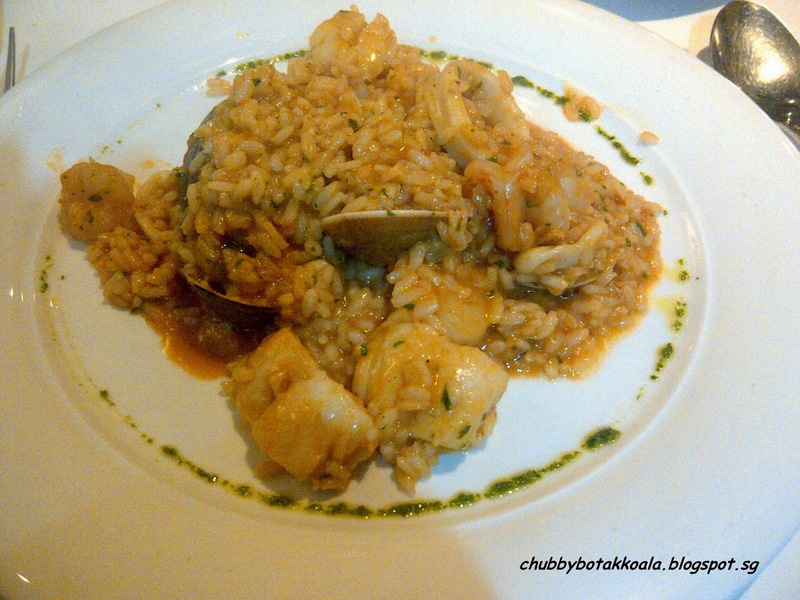 My other half ordered the Seafood Risotto with tomato base version ($26). This is actually a special order and we are glad the Chefs at Etna for accepting the order. A perfectly cooked risotto with the natural fresh seafood. The tomato base sauce is light not as heavy as the cream sauce. Compliment to the Chef. 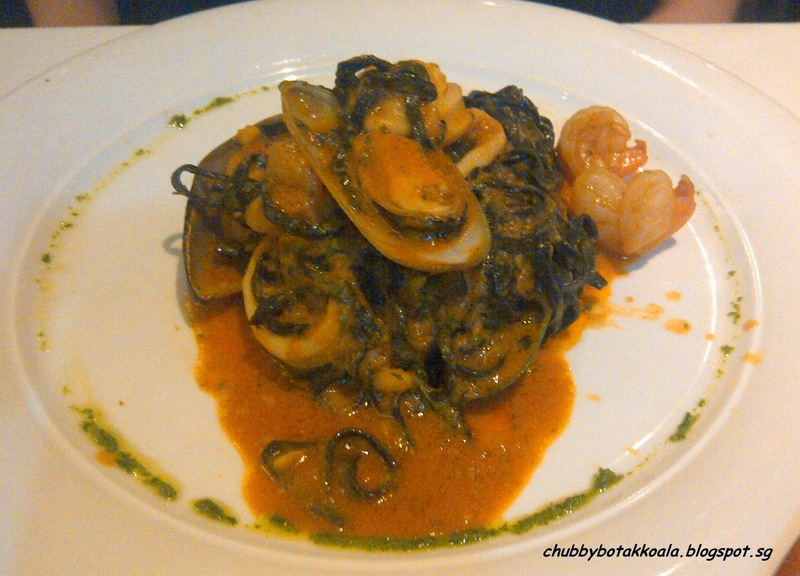 A friend of ours ordered Taglierini al Nero di Seppia ai Frutti di Mare – Squid ink pasta with seafood ($26). She gave her two thumbs up for the pasta. 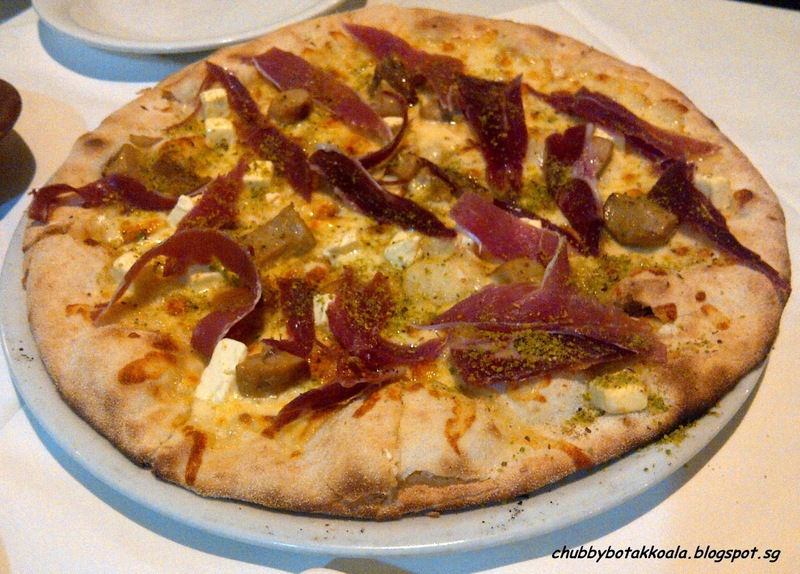 Next come the Pizze Bianche Etna – White pizzas, mozzarella cheese base with porcini mushrooms, Parma ham, cream cheese and pistachio ($26). The dough is crispy, but the ingredients are still moist. The saltiness of the parma ham goes well with the cream cheese and porcini mushrooms. The grind pistachio is mild add to the texture, but not on the flavour. For desserts we ordered Creme Brule alla Banana ($14) and Etna Lava Cake served with Hazelnut ice cream ($14). 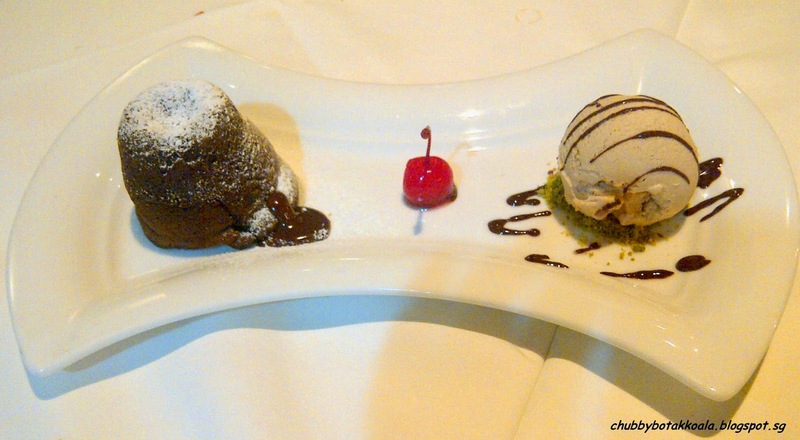 The lava cake is good, with the liquid chocolate oozing from the cake goes well with the hazelnut ice cream. While the banana crème brulee does not sit well with us. 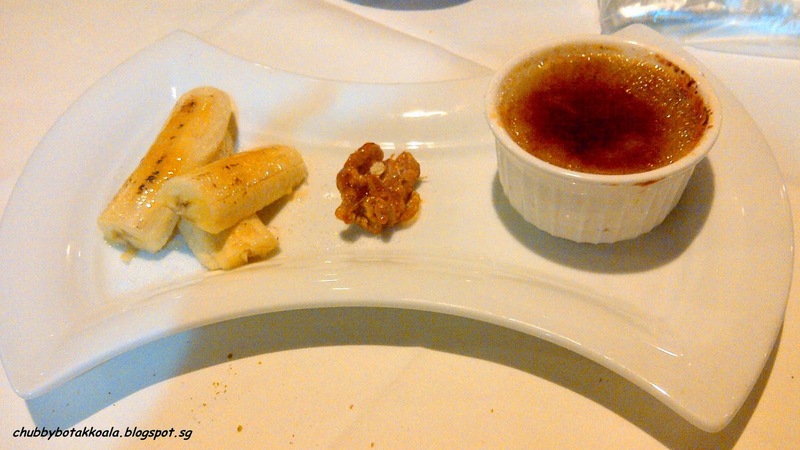 We just find banana and crème brulee is a not a match. Service is very good. The service staff has a good knowledge of the menu and very accommodating. At one stage, the lady head chef actually came out to check on us and jokingly tell me to stop being a paparazzi of her food. Overall, if someone ask me to recommend an Italian food, I will not hesitate to recommend Etna. The price is not cheap, but you are paying for the quality. Can't wait for my next visit, Grazie e Arrivederci !! Menu and Online reservation available on their website. 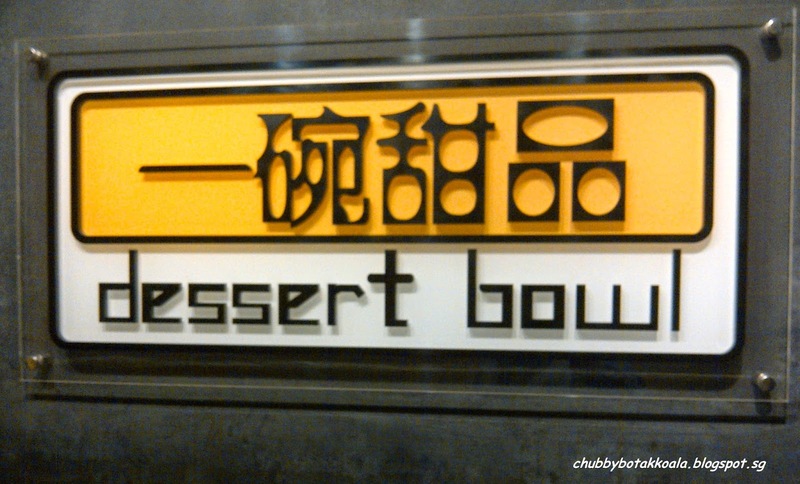 You will not expect to find any good food in Katong Shopping Centre, but surprising there is a very decent dessert shop at the basement of the old shopping mall. This building is renowned for its numerous maid agencies, internet cafe, snooker place and some clothing shops cater for the older generations. It was by accident that we find this place as we were helping our friend to look for a domestic helper. This Noodle House recently made the news because two of the loyal patrons partner with former Park Royal chef bought over the store from the previous owner who decided to retire. For the article on the buy over, you can check on their Facebook page. Found this place by accident when I went out for lunch with my colleagues. 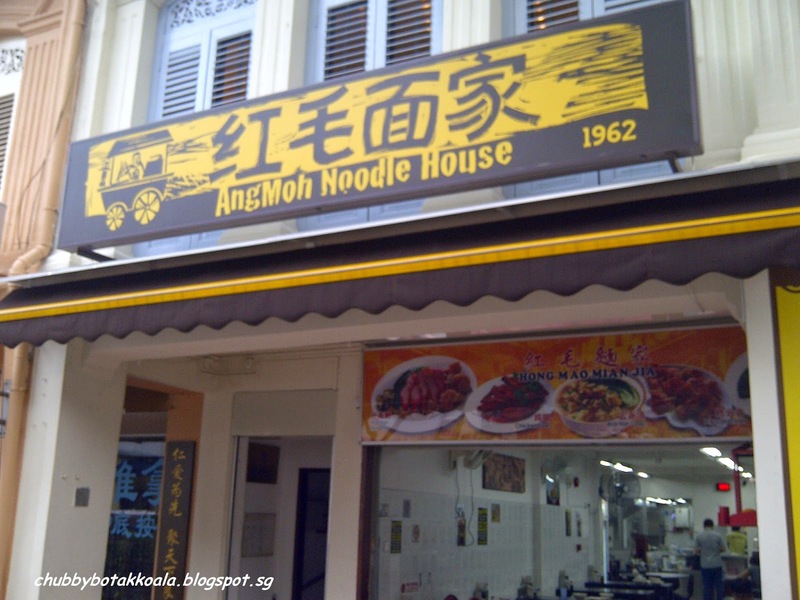 The coffee shop is located behind Ang Mo Kio bus interchange, just beside Courts. 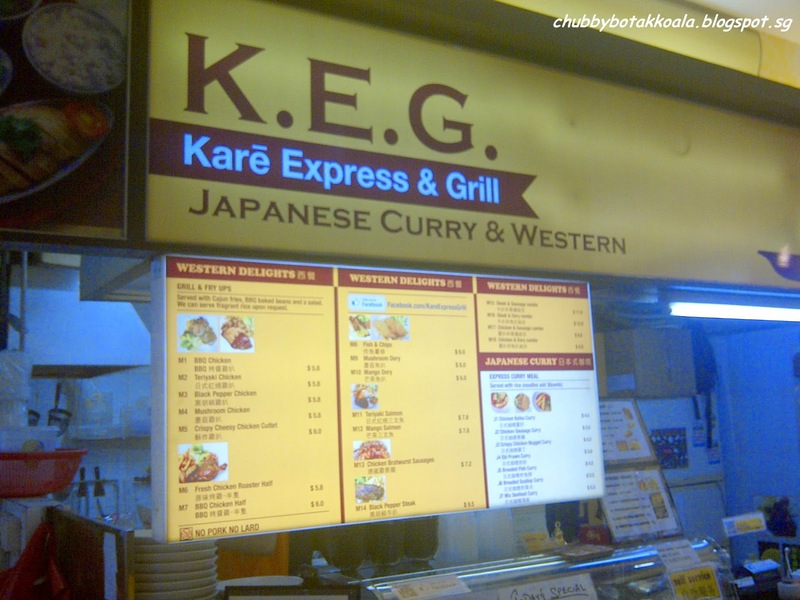 Kare Express Grill (K.E.G) actually specialise more on Western and Japanese Curry. 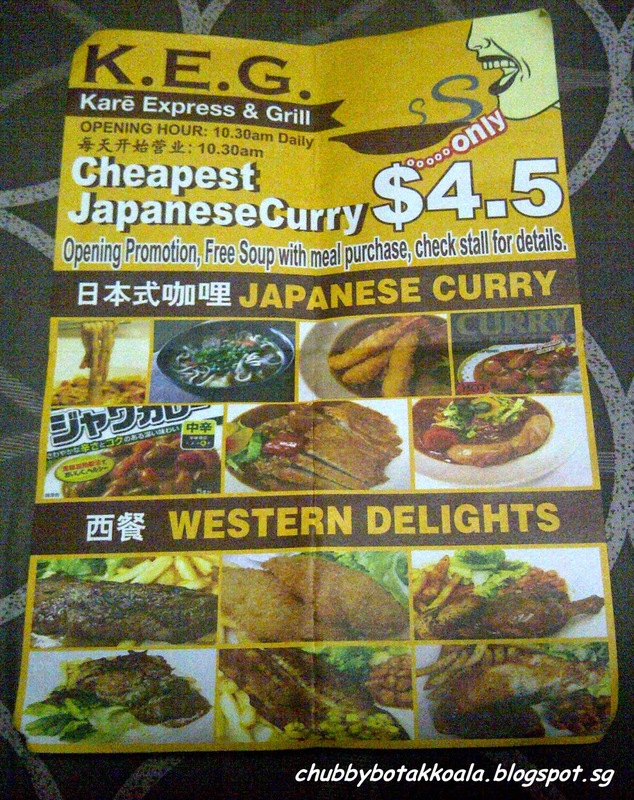 It has been a while since I have a decent plate of Japanese Curry, so I decided to order Chicken Katsu Curry ($4.50). 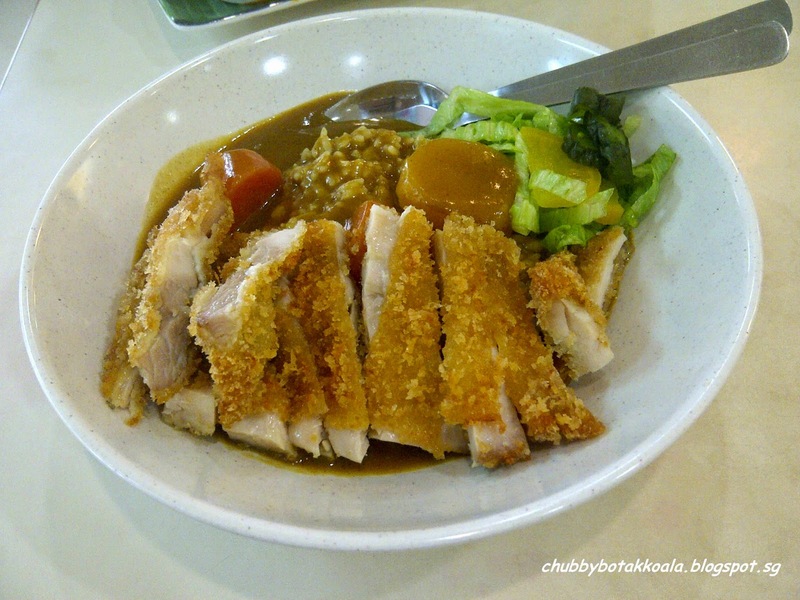 The chicken fillet is nicely fried, coated with batter and bread crumbs. The meat is tender and succulent. The portion of the rice is fulfilling, and so does the Japanese curry. They even provide you with a small portion of Japanese pickles. We have notice this place for a while, but only until recently we have the opportunity to give it a try. Located on the second floor of the same stretch of shop houses with OCBC Bank, the orange colour logo does catch your eyes. 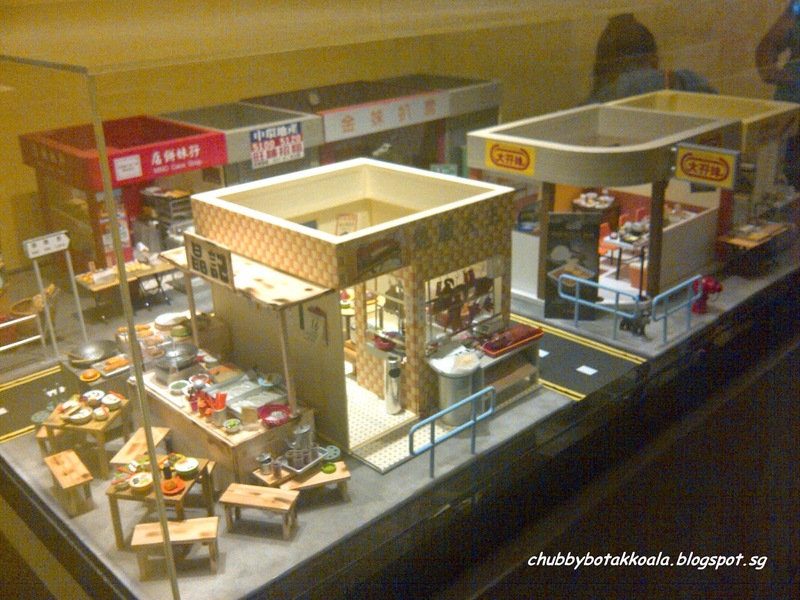 Upon entering the second floor, you can see the miniature buildings of Hong Kong's landscape. The furnishing is simple dark wooden square tables and rectangle chairs, like in HK traditional shops. 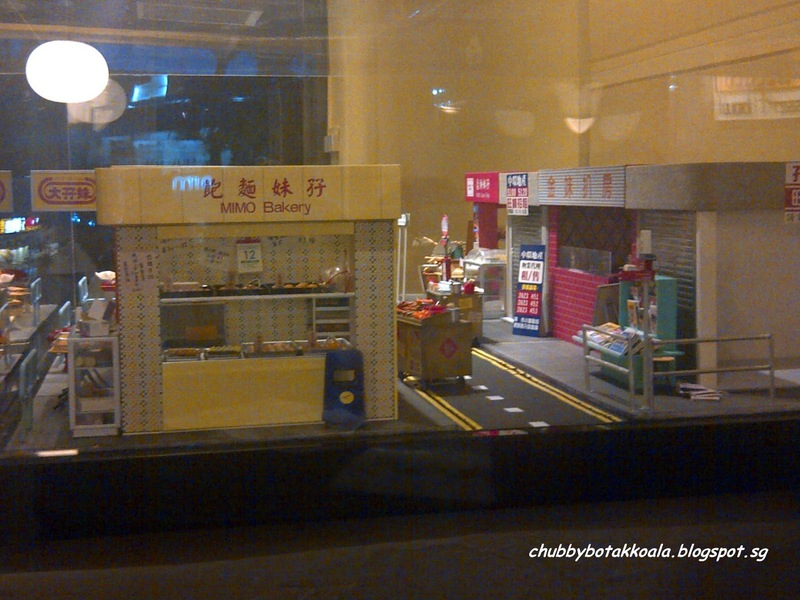 Near the window, they have four red sofas where you can see the scenery of Serangoon Garden way while enjoying the desserts here. 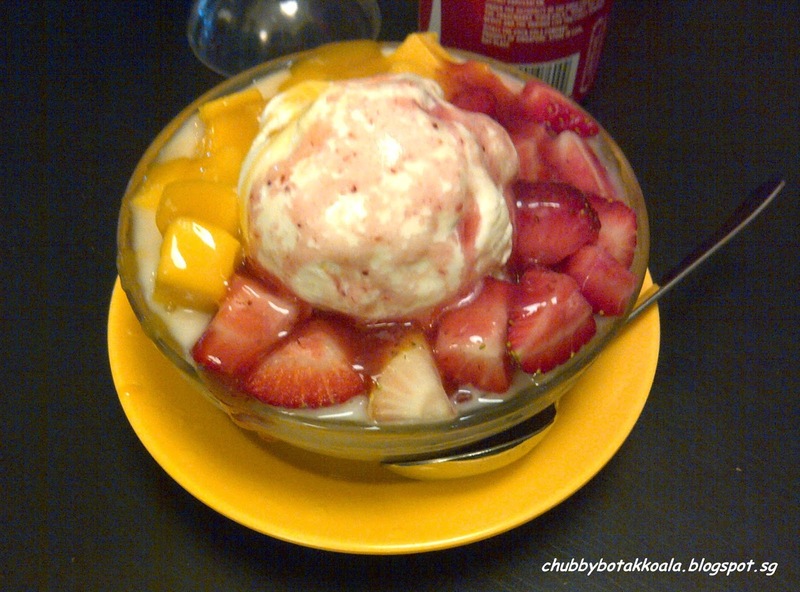 Three of us ordered Aiyu Mango ($4.20), Mango Snow and Pearl ($4.70) and Mango Strawberry Ice ($4.50). The three desserts looks nice in terms of the presentation and the ingredients, however it seems that the individual ingredients does not blend or bind well. Its like eating each ingredients separately. 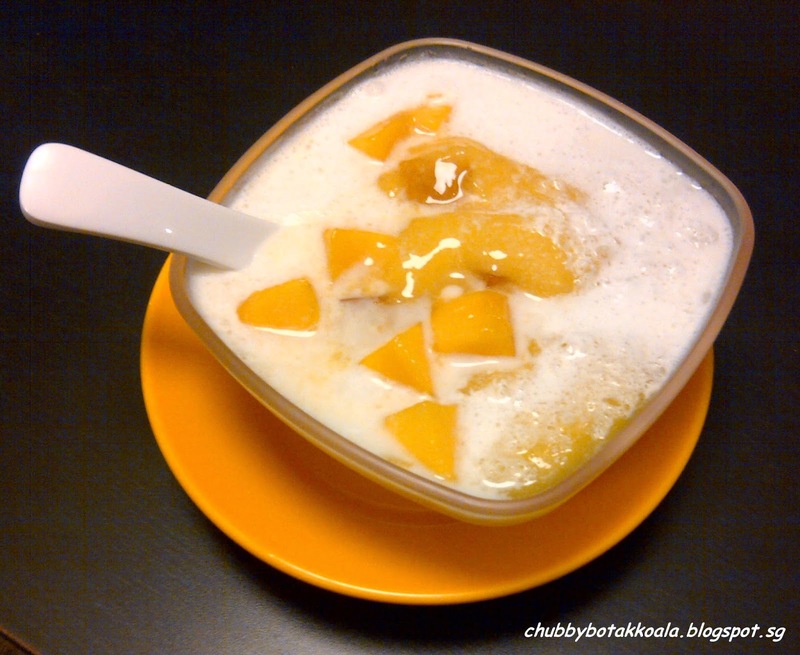 The ice cream also does not mix with the mango or strawberry and make you feels a bit yucks or jelak. 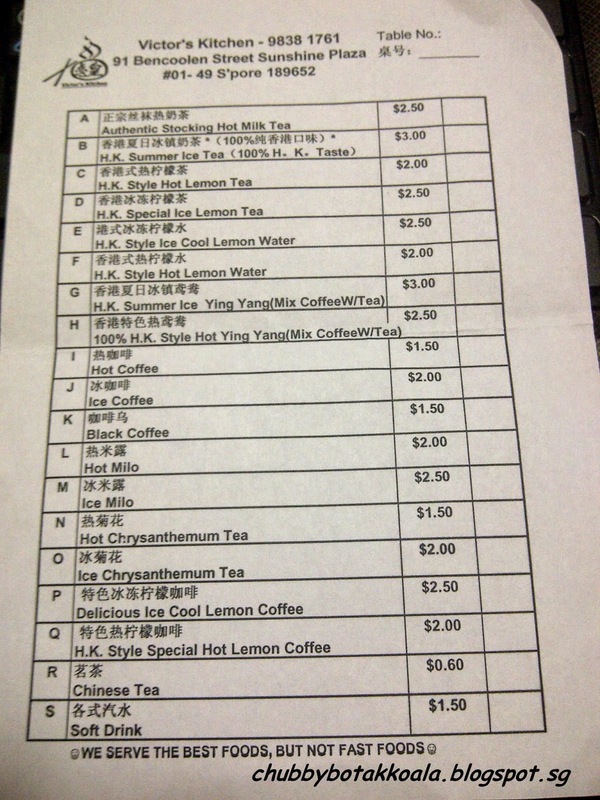 We also ordered Black Devil (Coke with a scoop of ice cream - $4) and Lemon Coke ($4). The drinks are actually better than the desserts we ordered. 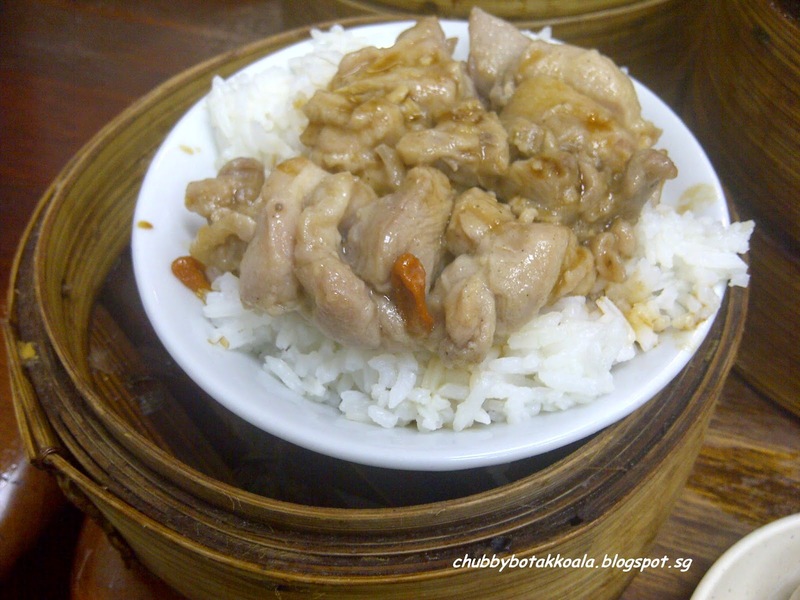 So what to eat at this place: of course the Hainanese Chicken and Chicken Rice. The rice is moist, fragrant and al dente. It is not oily and the grain does not stick to each other. The Chicken is coated with oil and soya sauce, topped with parsley. 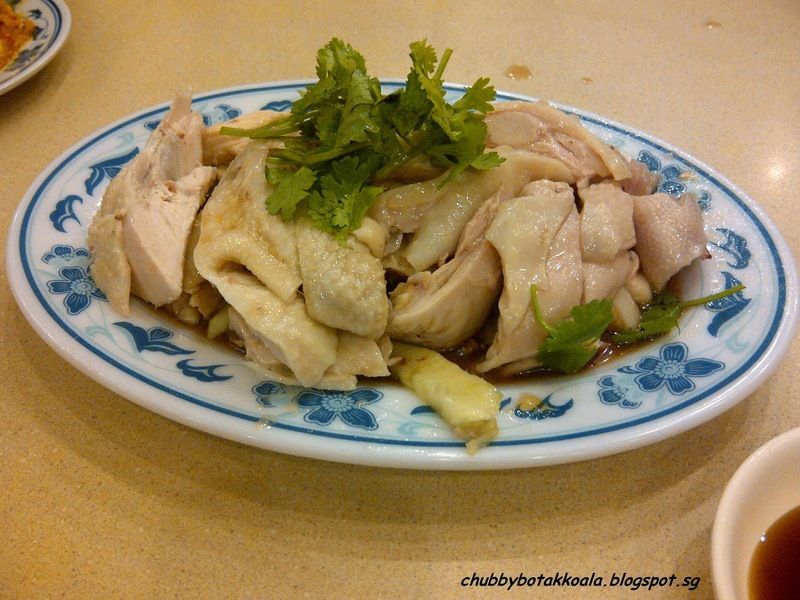 The chicken skin has the right thickness and meat from drumstick to breast is moist and succulent. I rate it 9 / 10. The other reason why I love this place, is that when I ask for the chicken bishop (Yup, the backside) they serve it to me on a bowl generously. Some elders said that chicken bishop can help with your face complexion, for me I just love the fattiness and the texture of it. I even master the skilled to remove the stinky part on the top of the bishop that normally put people off. 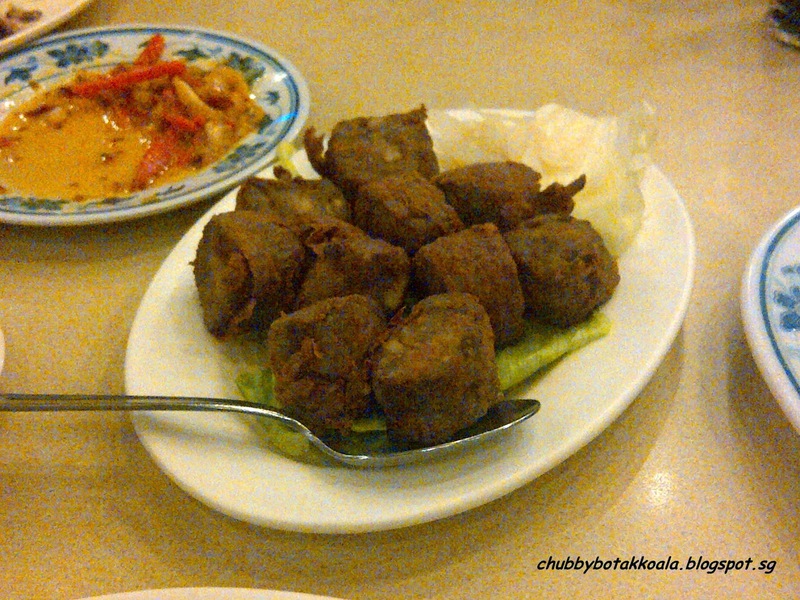 Not to be miss here is their Crispy Nonya Tofu and Ngoh Hiang Nyonya Style. 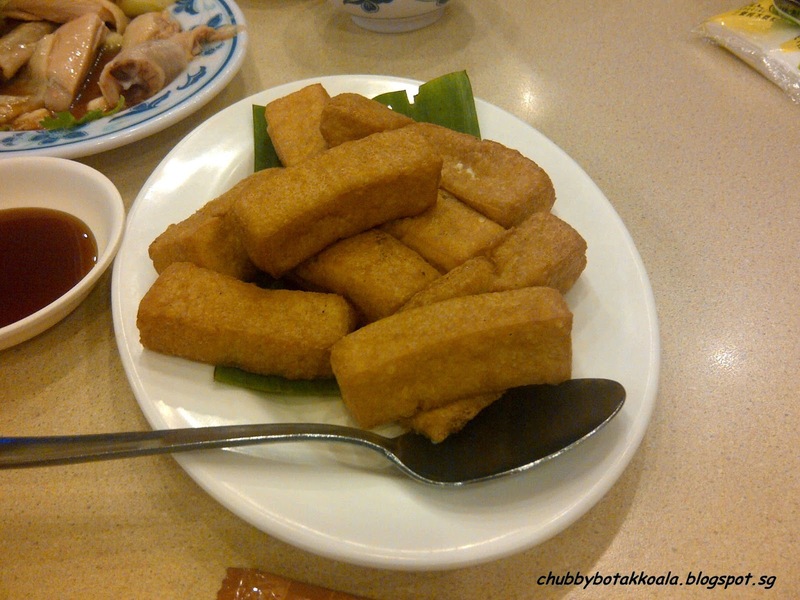 The tofu is made from egg tofu, deep fried perfectly with the crispy texture on the outside and moist tofu texture on the inside. 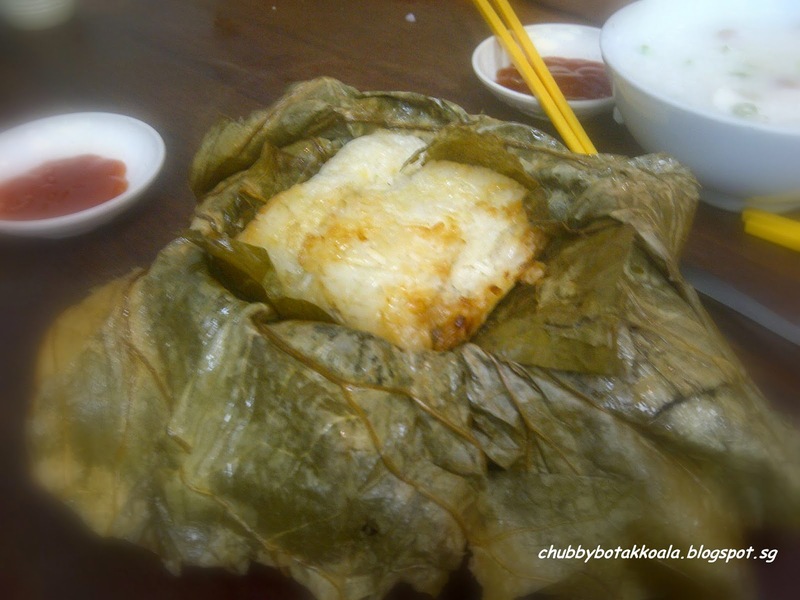 The Ngoh Hiang also similar, crispy texture of beancurd skin and moist meat feeling inside. Really complement the chicken rice. 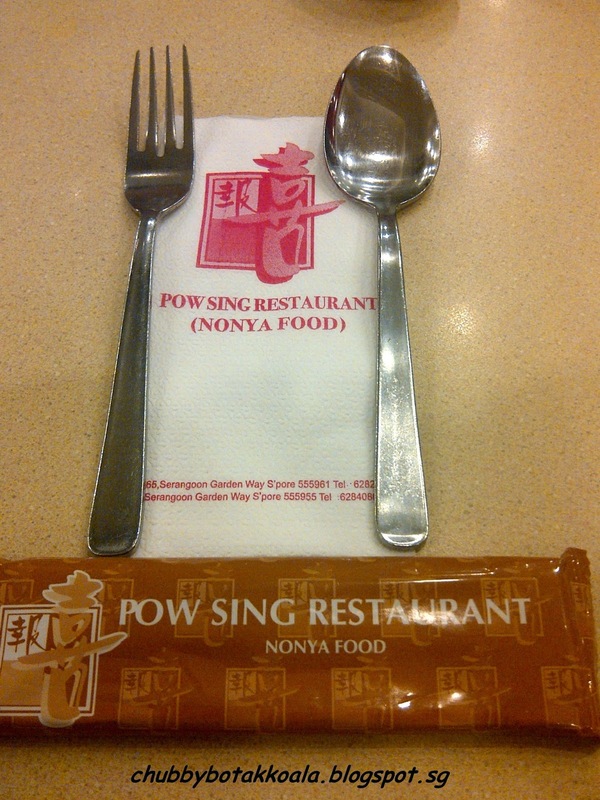 Pow Sing Restaurant also serve Peranakan food and other Chinese food. 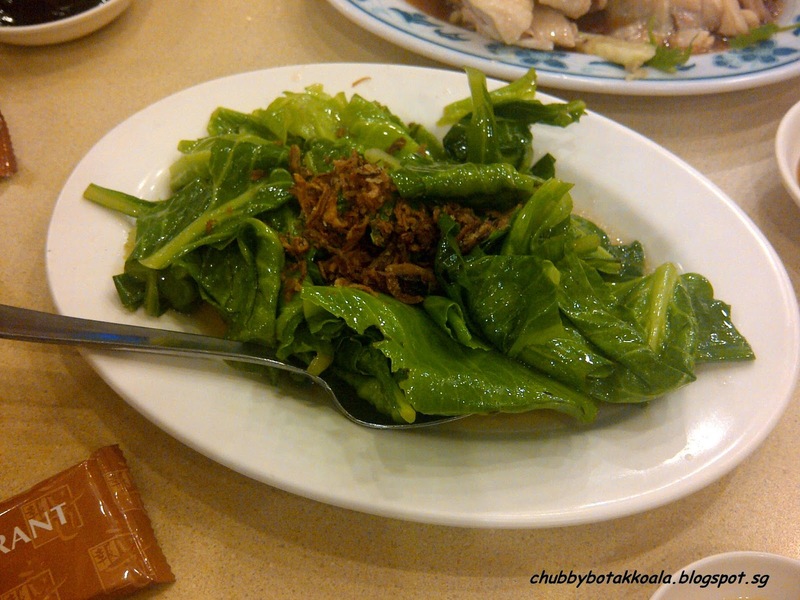 On our last visit we ordered the Steam Garoupa, Fish Maw Soup and stir fry baby kailan. The garoupa was served on aluminium plate with a heating fire below it. 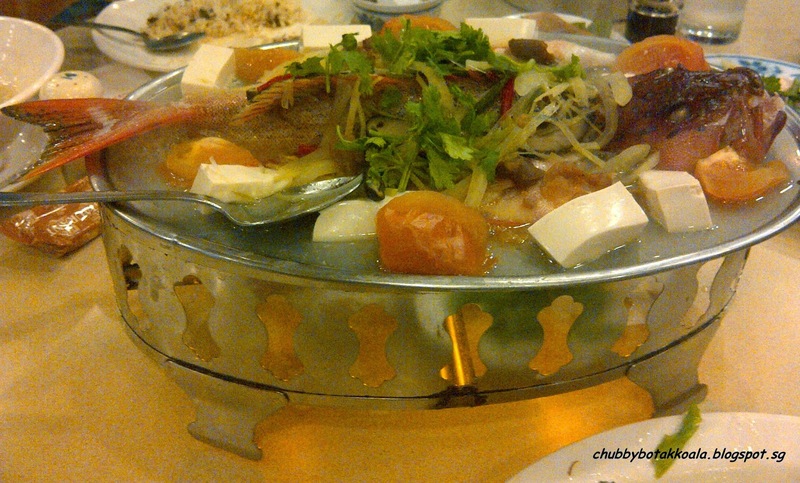 Although the fish is fresh, it was a bit over steamed and the meat was slightly though. 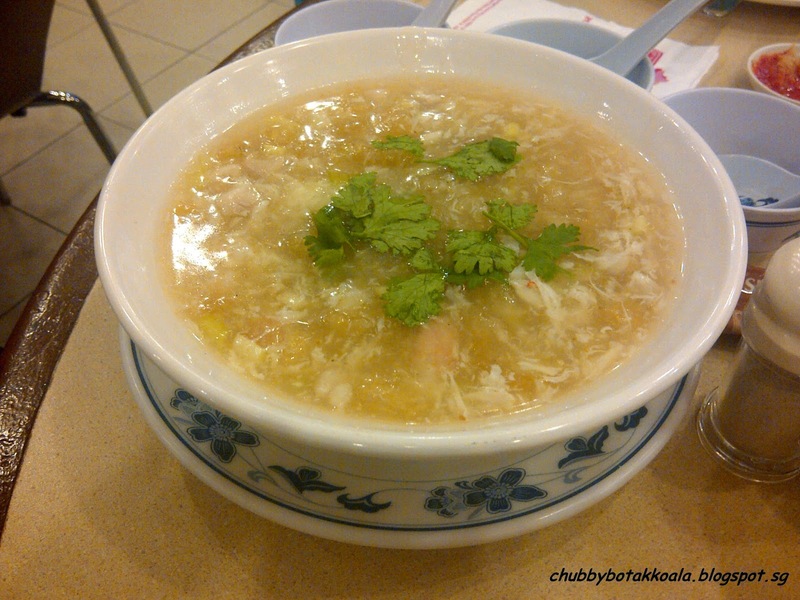 The fish maw soup has a nice thickness to it but it is neither robust or flavourful. The vegetable is still crunchy, but a bit oily. The furnishing of this place is very simple. 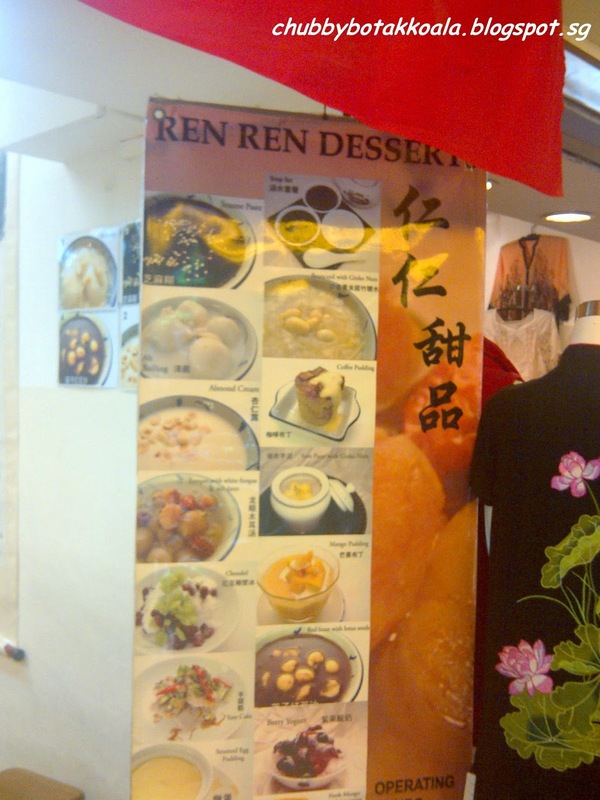 They hang the picture of their recommended dishes on the wall. The service is very minimum and no fuss. If you ever wonder how traditional Dim Sum is in Hong Kong? Victor is the a good place to gauge your expectations. 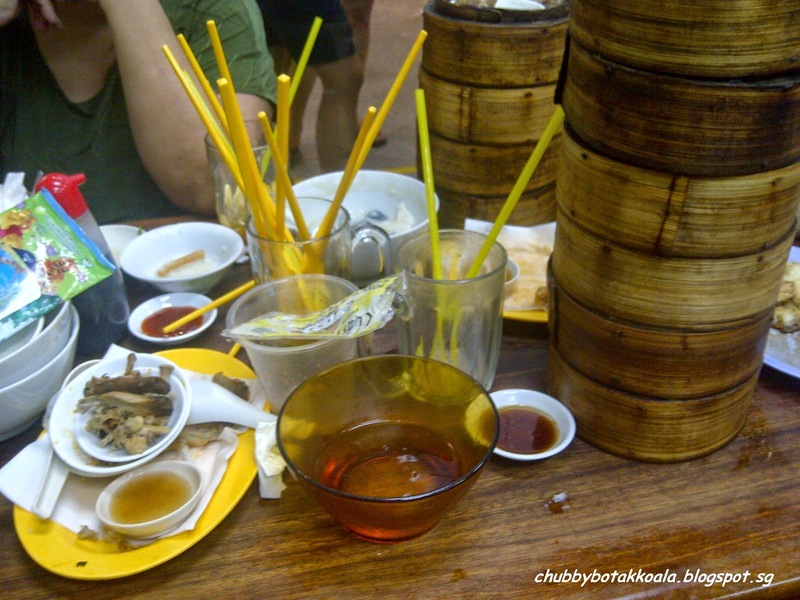 This place served HK style Dim Sum with the HK attitude and atmosphere. It is no fuss, long queue, cramp, back to back seating and table sharing. Service is minimum, but the food is excellent on a good day. The Chef / Owner, Victor is Dim Sum Chef from HK that decided to open up his own place. 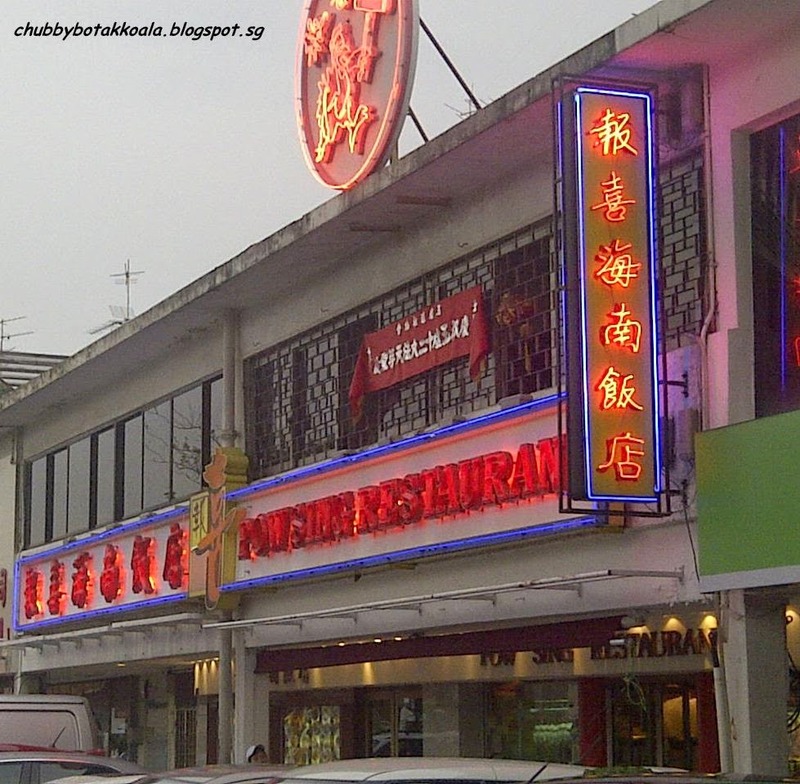 So if you are looking for a Dim Sum place like in East Ocean, Tung Lok, Peach Garden or Crystal Jade Kitchen, then this might not be the place for you. So how is the food? A few things that you should not miss here: Golden Egg Yolk Lava Bun (Custard Bun / Jing Sha Nai Wang Bao), Victor's King Prawn Dumpling (Har Gao), Yutiao Cheong Fun; and Chicken and Sausage in Glutinous Rice (Lo Mai Kei). The Golden Egg Yolk Lava Bun come straight from the steamer. 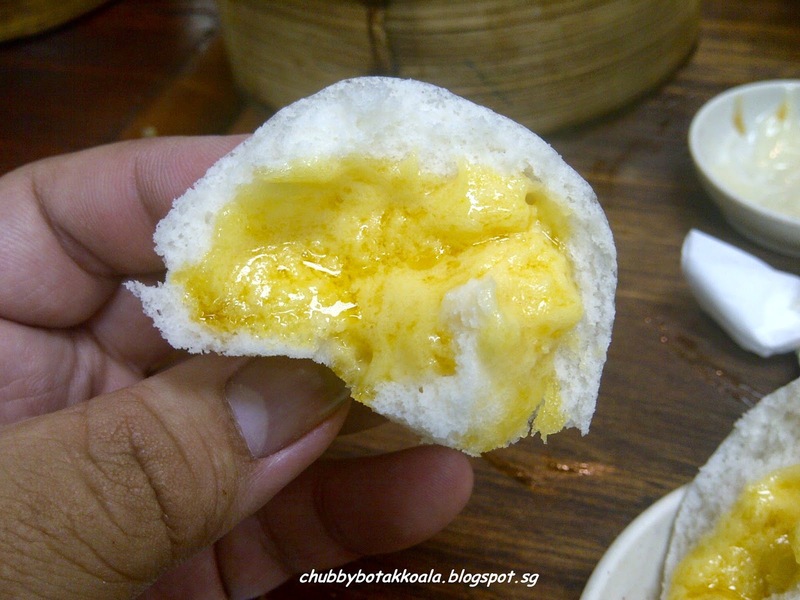 The bao is soft texture, when it is perfectly steam, the salted egg custard will be oozing out from the centre of the bun when you tear the bun. 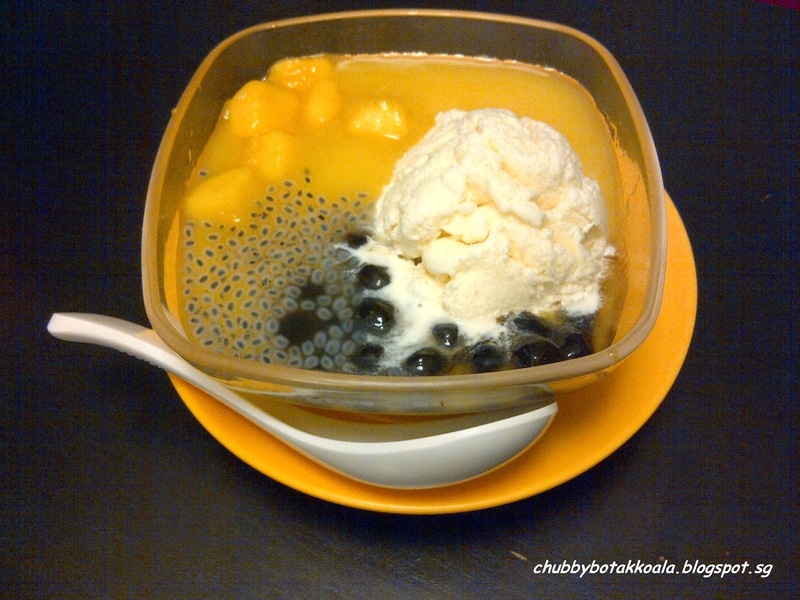 Nice combination between the salty and sweet flavour, Super Yummyy!!!! 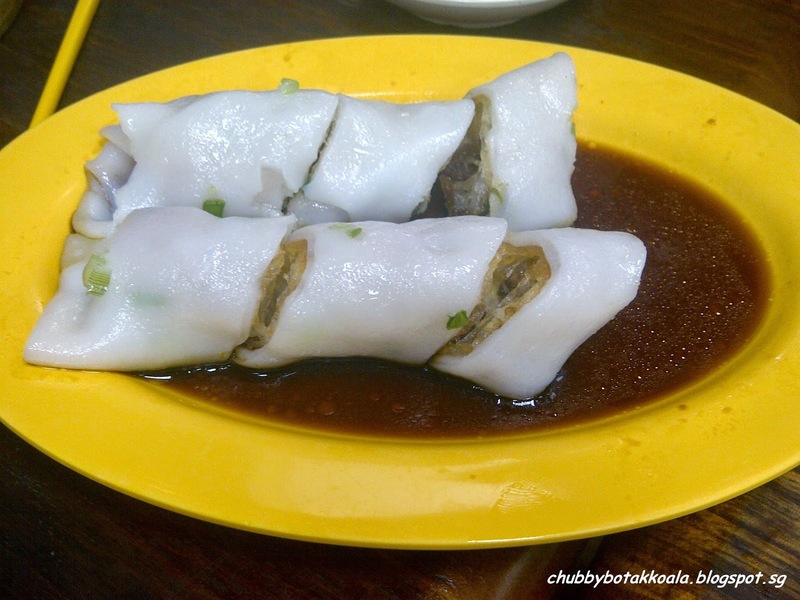 Next the Yutiao Cheong Fun, a nice crispy texture of the fried Yutiao wrapped with Cheong Fun swimming on light soya sauce mix. 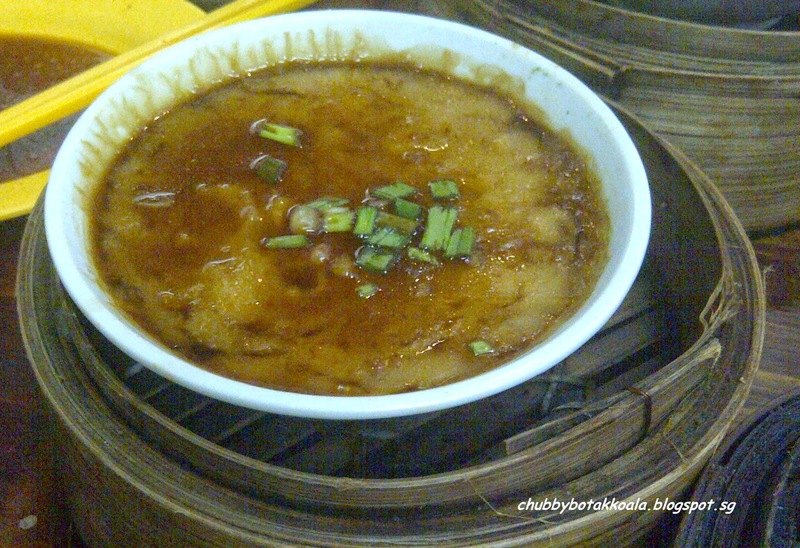 The cheong fun is slightly on the thicker side compare to common cheong fun, but it is to my preference. 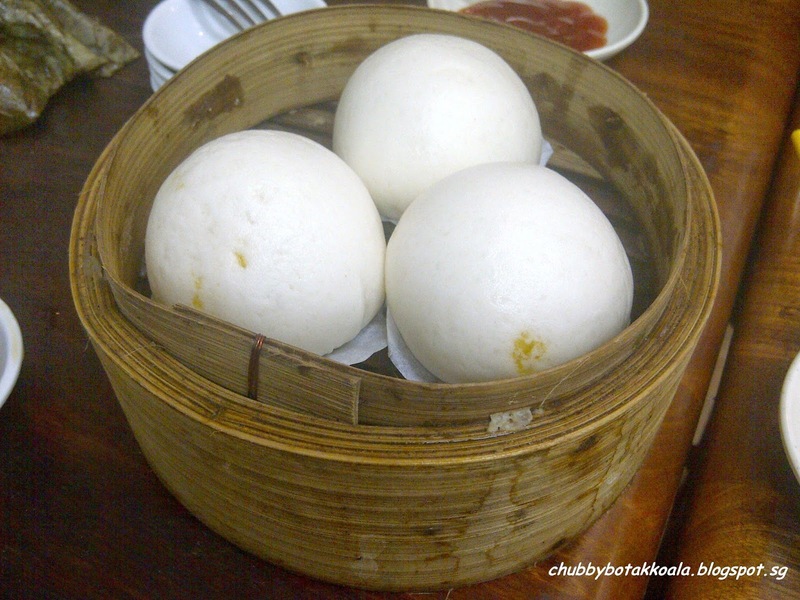 The Lo Ma Kei is fragrant, soft and moist. A little sticky as you expect in glutinous rice. 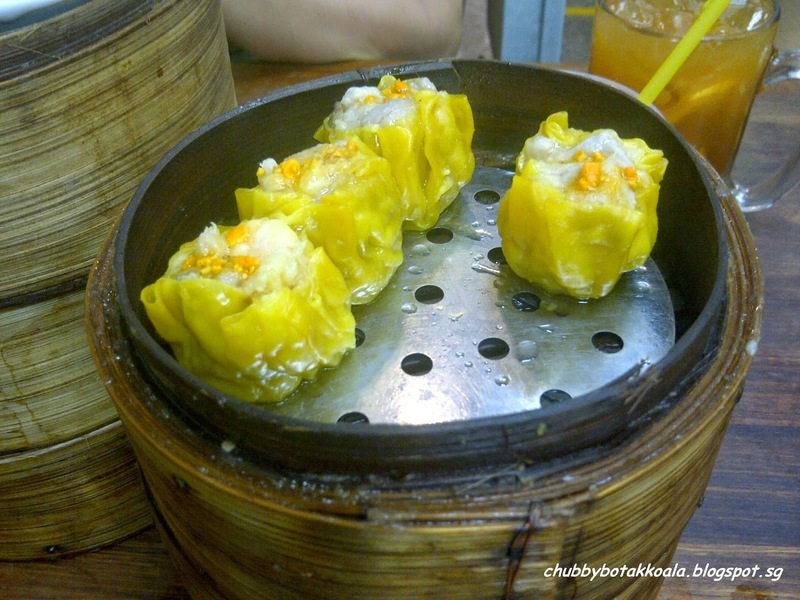 We are a bit disappointed that they run out of their Har Gao this time around, but we order stuff such as: Tasty Queen Siew Mai – slightly on the tough side, the filling is very compact; not the Siew Mai that I prefer. 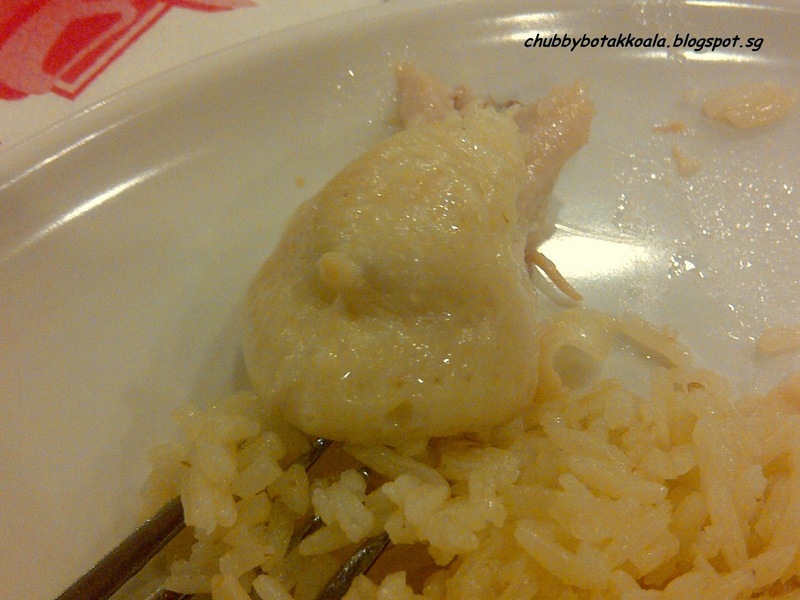 Fresh Chicken w/ Wolfberry Fruit and Rosey Wine Steam Rice – Chicken are tender and moist, but can't taste the rosey wine. Slightly bland, and need to add the soya sauce to give more flavour to the dish. Scallop, Sausage Carrot cake with XO Sauce – The carrot cake taste is smooth but a bit bland. You can't really taste the the scallops and the sausage. 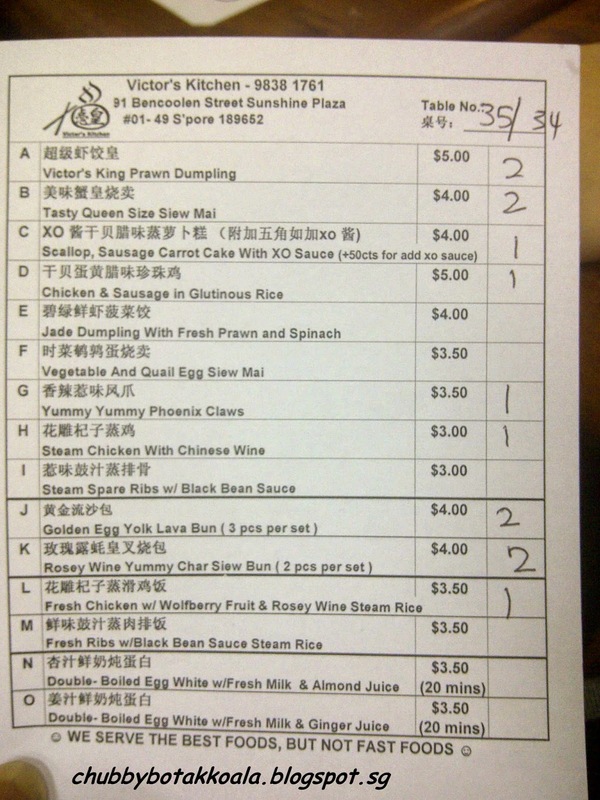 After we are finished, we realised that we did not order the XO Sauce, no wonder it is bland. 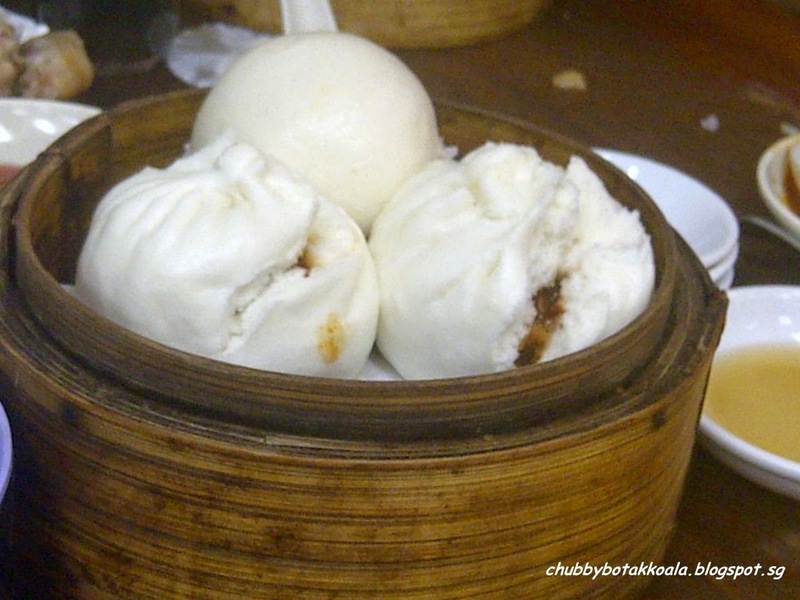 Rosey Wine Yummy Char Siew Bun – The bao is soft and moist, goes well with the fragrant and sweet char siew. Good but not great. For drinks, the H.K. Summer Ice Tea is a must try. They place the ice on the outside of the cup to chill down the drink. This to ensure the melting ice does not effect the texture and smoothness of the tea. 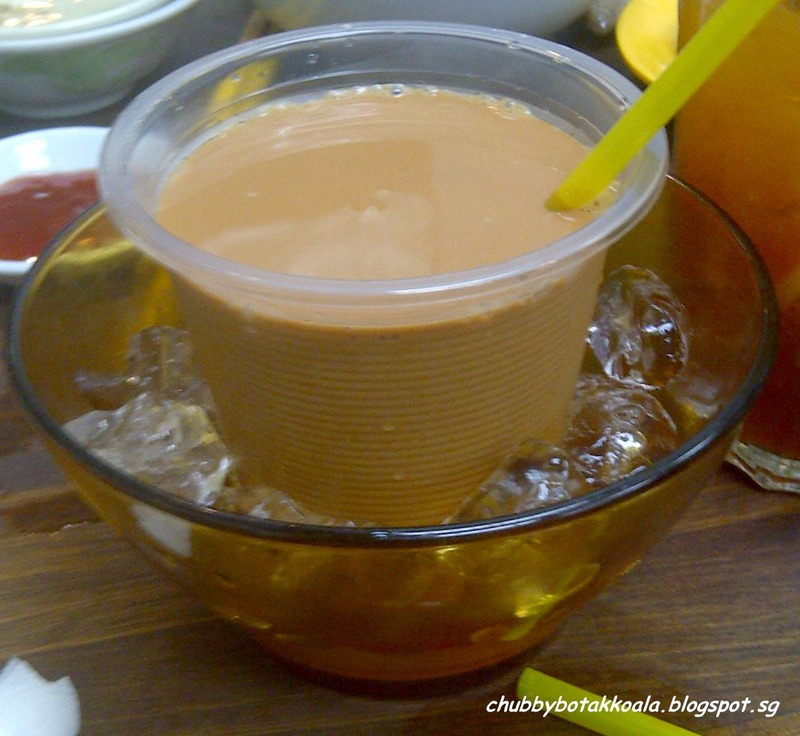 Yummyyy, authentic HK Milk Tea. Overall, if it is not a busy day, Victor's serve quite satisfactory HK Dim Sum. However, there are times when they are too busy or miss the timing to take it out from the steamer and causing their food quality standard to drop. Don't expect restaurant standard, but if you want a real deal of how HK commoners eat, you can give this place a try. PS: Psssttttt!!! This is a common sight of the tables in Victors. But not to worry, the boss will come out and give the helper a scolding to clear the table. Just soak up the atmosphere and you be the judge! !